Hi everyone! 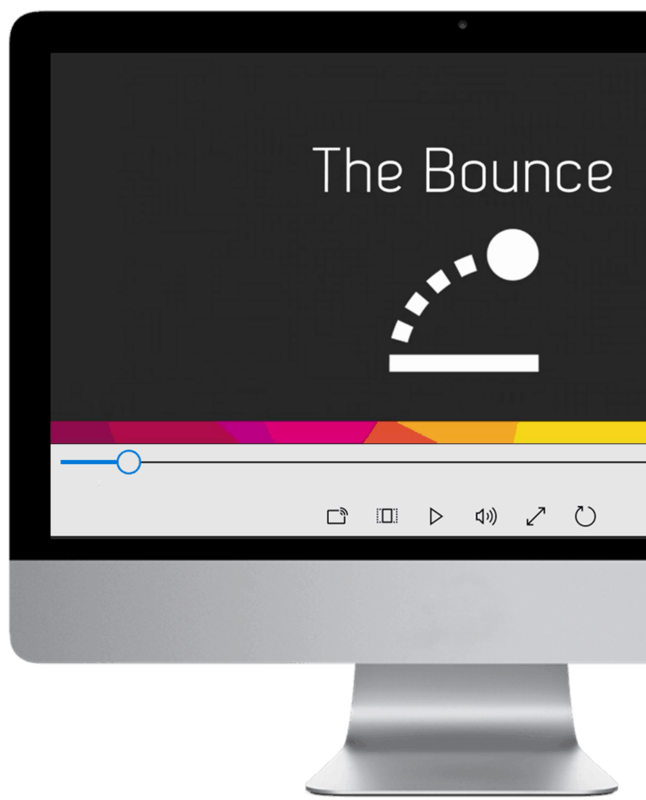 In this post, I’m going to highlight a really cool FREE animation tool, which I wish I knew about years ago! If you want the slides I used in this tutorial’s intro video, Invalid shortcode attributes. 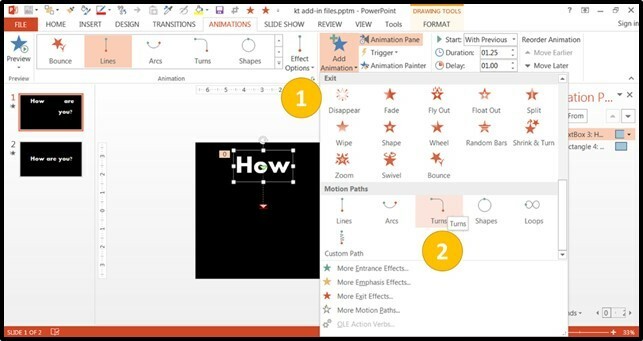 The MUST have animation tool was created by PowerPoint MVP Shyam Pillai, which you can download for free (but donations are recommended!) 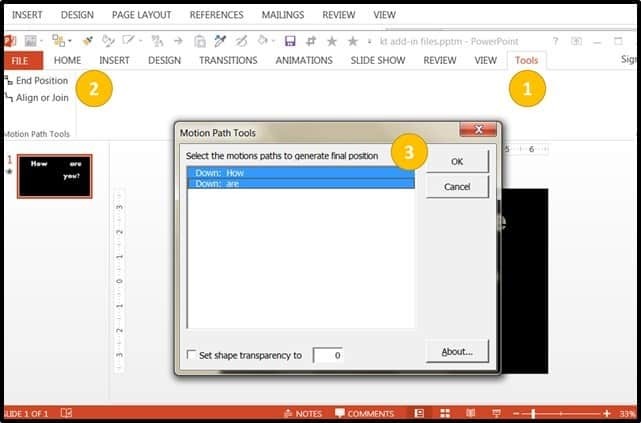 for all versions of PowerPoint on his site by clicking the link – Motion Path Tools add-in. Just a quick word of warning when installing the add-in (I made this mistake myself…whoops), make sure you enable all macros in your deck, otherwise the add-in won’t work. First off, the tool lets you create a copy of an animated object and paste it at the end state of its motion path (allowing you then to copy and paste the new object, and use it on another slide!). Secondly, it allows you to combine several motion paths together, for a single object, to form complex animation patterns that would otherwise be extremely difficult to pull off. The first feature is what I’m most excited about because it helps tremendously with complex animations. For example, say you want to have the words HOW ARE YOU come together and leave as one group, as demonstrated in the video below. It looks simple, but it’s a little tricky to pull off. First you have to make sure that the ‘How’ and the ‘Are’ are even with each other. 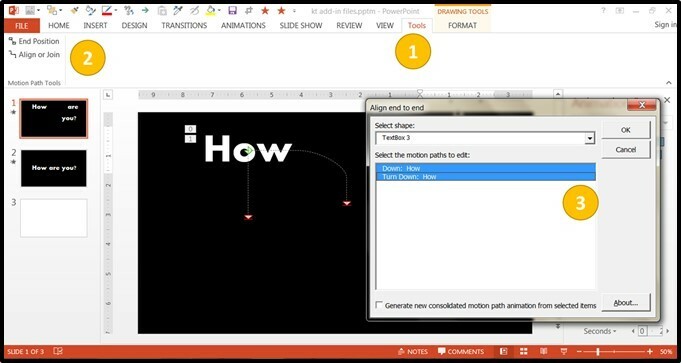 You can sort of guess by previewing one motion path at a time, which you can do starting in version 2013. And voila – it copies them to the place where they’ll land after the motion path! You can now double check that they’re all lined up correctly, and you can also now select all 3 words, copy them, and paste them onto a separate slide. Now I can group them, then animate them as one object, making them exit the slide together. 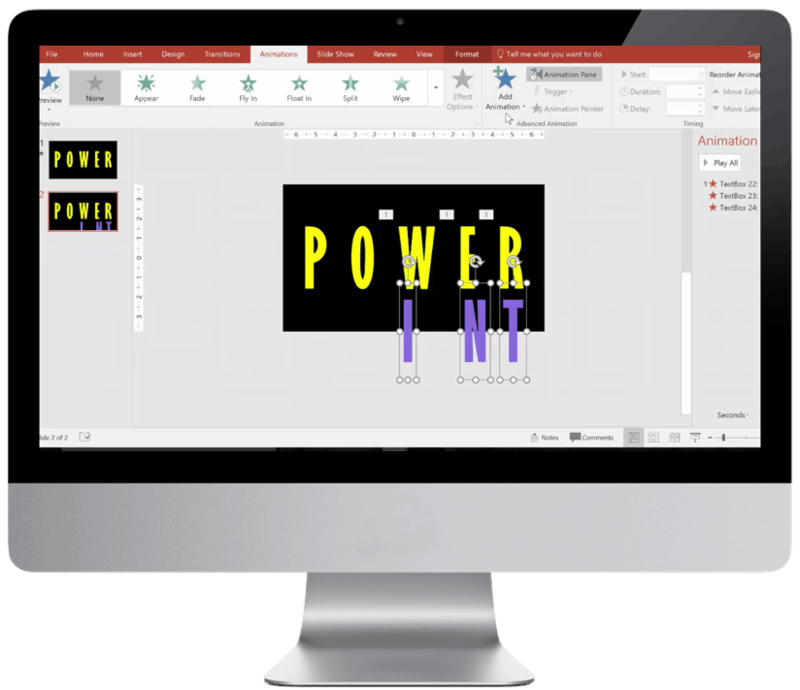 Even though the result looks simple, without this add-in, I would have to do all this through time-consuming trial and error adjustments, so it’s a huge time and life saver. 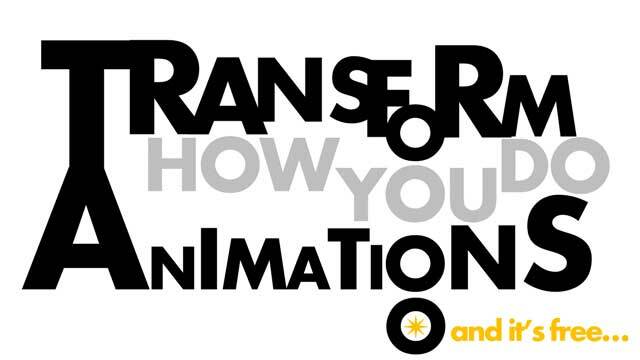 This tool would have actually been super useful for the complex animations used in my kinetic typography video, which took me forever to do using the old method! Now the second thing this add-in does, as I mentioned, is it allows you to connect your motion paths together. 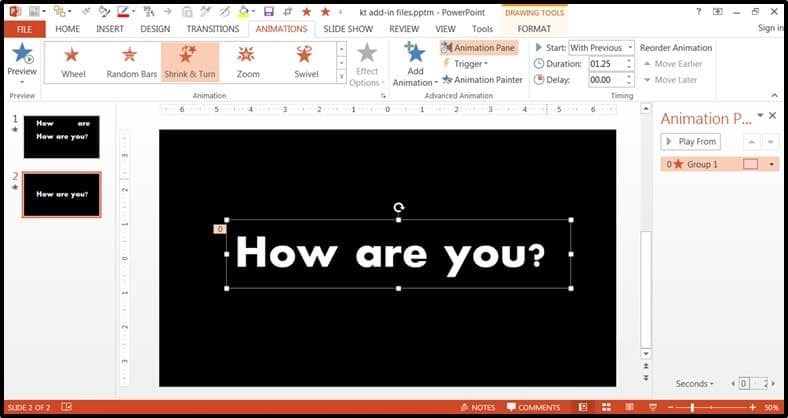 For example, if you wanted the HOW to move down and then take a turn, you can go to Add Animation and add a turn. Then, you go to the Tools menu again, click on ‘Align on Join’ on the left, make sure the two motion paths you want to join are selected. Hit ok.
And here is the result – the motion paths have been connected for you! 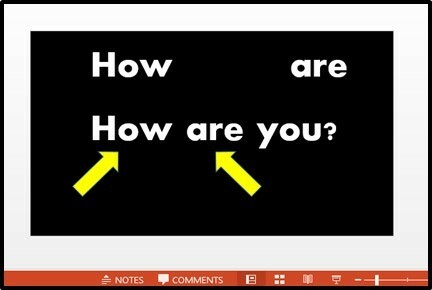 If you want the slides I used in this tutorial’s intro video, click here to download them now. If you create a lot of complex animations like I do, than you can see how this cool add-in is a total GAME CHANGER for your animations projects! What used to take hours of tedious trial and error alignment, can now be done with the click of a button! I hope you enjoyed this tutorial, and have fun with this – it will open up a whole new world of animation! 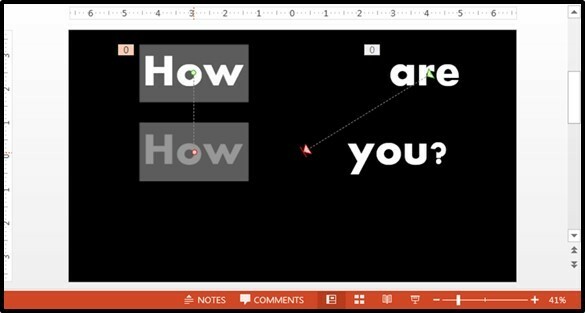 Where should I send these Advanced Kinetic Typography files, so you can follow along and use them in your decks? They're 100% FREE.